South Adelaide's Under 16s came up against Central District at My Money House Oval in Round Two, unfortunately falling 32 points short of their first win of the season. We certainly had our opportunities to win the game again against the Bulldogs, with the match evenly poised at the final break. Unfortunately, we could not hurt the opposition on the scoreboard and in the end went down by five goals. We collected 30 more disposals than our opponents during the game, but continued to let ourselves down with poor execution by hand and foot. We will continue to work on improving our skill under pressure at training throughout the week. Jack Fitzgerald was our more consistent performer on the day, winning lots of footy through the middle of the ground and using it well. Marcus Lippett won a lot of contested ball, was much better with his disposal this week and displayed some good defensive pressure. Tyler Oliver wasted the ball a bit in the first half, but tidied this area up in the second and also won a lot of contested footy. William Bruce was very clever and clean with his skills and did not was any of his possessions, bringing his teammates into the game with his poise. Tom Neville showed excellent pressure and intensity, good work rate and tackling pressure. His game would have been even better with some better poise in front of goals. 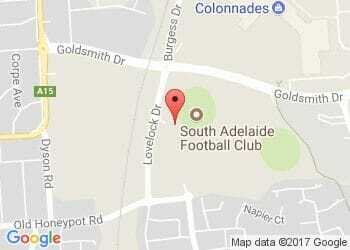 Our next game comes against West Adelaide at Hickinbotham Oval this Saturday, April 8th from 11:50am.